Governor Shaktikanta Das Thursday said the Reserve Bank goes with the official statistics while making its assessments on the economy and formulation its policy responses. A group of over 100 economists had gone public with their reservations on the GDP and other key data prints last month in the light of the frequent revisions in the way the numbers are computed. Das, the bureaucrat-turned-central banker, told reporters that the RBI goes with the official statistics prepared by the Central Statistics Office (CSO). RBI has held on to its gradualist approach in choosing to cut REPO rate by 25bps and maintaining neutral stance. The two key risk events for inflation trend in the year ahead - monsoons and elections, cloud the near term inflation outlook and warrant continued data dependency. The forward guidance for growth and inflation remains mixed and indicate shallow cuts here and there and not a cut cycle for now. At this point, RBI seems to be more focussed on the efficacy of rate cut and its transmission to the end borrowers and we expect to see more action on the liquidity front than rates in the current cycle. RBI decreasing the repo rate by 25 basis points is a boon to the sector. This might quicken the pace on both private consumption and private capital expenditure. Furthermore, it is imperative for banks to reduce the lending rates and ensure that the home loan borrowers reap the benefits of this move. The rate reduction will also provide the much-needed stimulus to build upon the various initiatives announced by the Government about reviving the demand in the realty sector in an affordable manner. The highlight of Thursday’s policy, however, is the warning on slowing growth. Growth projections have been scaled down. The statement said, “The MPC notes that the output gap remains negative and the domestic economy is facing headwinds, especially on the global front. The need is to strengthen domestic growth impulses by spurring private investment which has remained sluggish,” This assessment hits the bull's eye and sends a clear message to the fiscal authorities on what is wrong on the growth. Governor Shaktikanta Das Thursday said the Reserve Bank will shortly come out with a revised circular for bad loan resolution, after its 12 February, 2018 circular was quashed by the Supreme Court. The Supreme Court had Tuesday declared the one-year-old circular as "ultra vires", in response to a petition by stressed borrowers. Speaking to reporters at the customary press conference after the announcement of the policy review, Das said the RBI will issue the revised circular for resolution of stressed assets without "undue delay". “While the RBI has highlighted the upside risks to inflation, on account of El-Nino, food prices and fiscal situation, I think the tone is largely dovish. 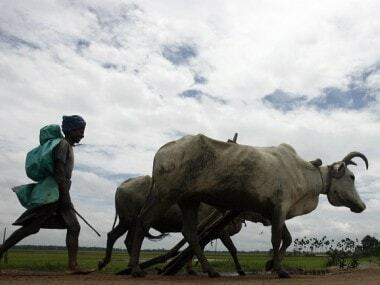 If we see the Congress party’s manifesto, it is a fiscal-expansionary policy, and even for the incumbent government, there is an emphasis to address rural distress, the unemployment situation, so these will have some fiscal implications. Whether the Goods and Services Tax collection will stabilise remains to be seen, but prima facie the fiscal situation will remain a concern irrespective of which government comes to power. “I’m happy to see the RBI is not toeing the market line because markets were expecting a much more dovish tone. They have kept inflation balanced even though their forecast is well contained within the 4 percent trajectory. We need to watch out how the monsoon pans out. The real issue is when food prices will actually reverse, we’ll have to see if the trigger for that would be a lower monsoon. This is something we must factor in before the MPC moves next. Interest rate sensitive stocks - banking, realty and auto - witnessed mixed trend Thursday following the RBI's rate-cut announcement. Following the announcement, among the BSE Auto pack, Hero MotoCorp surged 1.75 per cent, Cummins India 1.27 percent, Tata Motors 0.92 percent, Bajaj-Auto 0.83 percent, Maruti 0.79 percent and TVS Motor 0.75 percent. Meanwhile, some stocks in BSE Auto index was also trading in the negative territory including Bosch Ltd down 0.92 per cent, Eicher Motor 0.55 percent, M&M 0.36 percent and Bharat Forge 0.28 percent. The BSE auto index was quoted at 19,241.02, higher by 77.92 points or 0.41 percent. From bank index, Axis Bank gained 0.25 percent, Federal Bank 0.21 percent, State Bank of India 0.11 percent and Bank of Baroda 0.08 percent. What does a 25 bps rate cut mean for consumers? As expected, the MPC has chosen to mark the first bi-monthly monetary policy of this fiscal year with a token 25 bps rate cut. At a time growth is slowing and retail inflation staying low, this was the logical policy response from the panel. But will the 25 bps rate cut benefit the consumers? Banks might not be too keen to cut rates in a big way when demand is still low and fearing that profit margins will be impacted in the event of significant lending rate cuts. RBI will take necessary steps, including revised circular for quick resolution of NPAs, RBI governor Shaktikanta Das said after the Supreme Court struck down 12 February order. 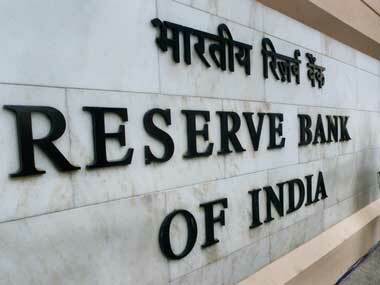 He added that the RBI will issue a revised circular for NPA resolution without much delay. The governor said that the MPC has considered all upsides and downside in the current macro situation. "It is a democratic right of any person to challenge any institution or individual in a court of law and RBI is not an exception to this. As I have reiterated in my press conference, we are taking wider stakeholder decisions. He added that powers of RBI under section 35 AA of the Banking Regulation are not in doubt at all. * RBI revises downward retail inflation estimate to 2.4 pc in Q4 FY19. * Next monetary policy statement on 6 June. The central bank has decided to hold further consultations with stakeholders and work out an effective mechanism for transmission of rates. The central bank will put in place a framework on the turnaround time for resolution of customer complaints and compensation framework across all authorised payment systems by the end of June 2019. RBI governor Shaktikanta Das says that the Reserve Bank will watch the evolving macroeconomic situation and act when required. "We will constitute a committee on the development of housing finance securitisation market in India", he said. RBI governor Shaktikanta Das says that there is a further loss of pace in global economic activity since February policy meet. The bond yields have eased in some advanced economies and slipped to negative territories, Das said. Manufacturing growth is slowing down while investment demand is subdued, says RBI governor. Reduction in input price pressures among manufacturing firms is seen, he said. Fiscal situation at the general government level requires monitoring, Das added. There is a slowdown in global economies, says Das. There is also an improvement in business sentiments. The housing finance committee will be submitting a report by 20 August, said the governor. He said the moderation of growth in the global economy might impact India’s exports. Das said the MPC reviewed the macroeconomic development and outlook over the course of the last two days and voted 4:2 in favour of 25bps. Following RBI MPC rate cut announcement, bank nifty came down a half percent. Public sector bank index is the top loser. Private bank index is down 0.67 percent now. Pami Dua, Ravindra Dholakia, Michael Debabrata Patra and RBI governor Shaktikanta Das voted in favour of the decision to reduce the policy repo rate by 25 basis points. Chetan Ghate and Viral Acharya voted to keep the policy rate unchanged. RBI has revised downward retail inflation estimate to 2.4 pc in Q4 FY19, 2.9-3 pc in H1 FY20 and 3.5-3.8 pc in H2 FY20. RBI Monetary Policy Committee led by RBI governor Shaktikanta Das will announce its key decisions on policy rates shortly. Das said he expects RBI to cut the rate by 25 bps. "There may not be a rate cut. For all you know, it may be accommodative and give a 25 bps. But the market will expect a 50 bps rate cut. Brent is flirting with $70 a barrel. By the month of May, India may not be able to buy oil from Iran. Skymet has indicated that monsoon could be longer. So why should RBI be dovish?" RBI governor Shaktikanta Das held meetings with stakeholders including industry bodies, depositors association, MSME representatives and bankers. According to industry estimates, inflation is well below the RBI's mandate of 4 per cent and hence it should cut the repo rate (rate at which RBI lends to banks) to boost economic growth. A back-to-back cut in interest rate would provide relief to borrowers in the election season, experts say. According to ratings firm ICRA, the RBI could go for a 25 bps rate cut in the meeting of the monetary policy committee. The rupee depreciated by 25 paise to 68.66 against the US dollar in early trade Thursday ahead of the Reserve Bank of India's policy decision and foreign fund outflows. At the Interbank Foreign Exchange, the rupee opened on a weak note at 68.56 then fell further to 68.66 against the US dollar, showing a decline of 25 paise over its previous closing. The local unit, however, pared some losses and was quoted at 68.62 against the American currency at 0930 hrs. The rupee had surged by 33 paise to close at 68.41 against the US dollar Wednesday. Domestic equity benchmarks opened on a cautious note Thursday ahead of the outcome of Reserve Bank of India's first bi-monthly monetary policy review for fiscal 2019-20. The BSE gauge Sensex was trading a tad above the psychological 39,000-level in early deals, up 24.13 points or 0.06 per cent at 38,901.25. The 30-share index had settled 179.53 points, or 0.46 per cent lower, at 38,877.12 in the previous session. Some analysts believing the country’s weakening economic growth and subdued inflation outlook warrant a larger reduction. Most analysts expected RBI MPC to take a cautious approach given uncertainty over who will lead the government after the coming election and what their fiscal policy will be. A panel of economists, including former Chief Economic Adviser Arvind Virmani, called for at least 0.25 percentage point rate cut in the RBI's first monetary policy of the current fiscal to be unveiled on Thursday. 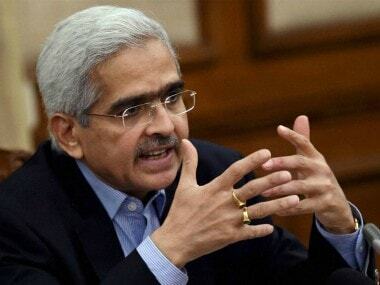 RBI monetary policy LATEST updates: Reserve Bank Governor Shaktikanta Das Thursday said the central bank will soon come out with revised circular for effective resolution of stressed assets in the backdrop of the Supreme Court order. Even though the headline credit demand is growing at a healthy 14 percent, Reserve Bank governor Shaktikanta Das Thursday said it is not broadbased while those to MSMEs have been muted so far. Shaktikanta Das said that that powers of RBI under section 35 AA of the Banking Regulation are not in doubt at all. The Reserve Bank Wednesday cut the retail inflation forecast to 2.9-3 percent for the first half of current fiscal, mainly due to lower food and fuel prices as well as expectation of a normal rainy season. RBI governor Shaktikanta Das says that the Reserve Bank will watch the evolving macroeconomic situation and act when required. The Reserve Bank of India’s Monetary Policy Committee has cut the key repo rate by 25 basis points to 6 percent amid low inflation. Some analysts believe the country’s weakening economic growth and subdued inflation outlook warrant a larger reduction. Equity benchmarks tripped between gains and losses on Thursday morning as investors waited for the Reserve Bank of India (RBI) to release its policy statement later during the day. At 10:15 am, the BSE Sensex was down 25 points at 38,852 while the NSE Nifty 50 slipped 5 points to 11,639. But most sectoral indices were in the green with tiny margins. Among the early gainers were Indiabulls Housing Finance, Bharti Aitel, Hero MotoCorp, UltraTech Cement and Titan. However, HCL Tech, Wipro, Hindalco, Bharat Petroleum and Tata Steel floated in the negative zone. The RBI is likely to cut its policy interest rate by 25 basis points on Thursday, despite some analysts believing the country’s weakening economic growth and subdued inflation outlook warrant a larger reduction. Asian markets also traded with mixed trends note after witnessing a rally to six-month high. Reports said the ongoing trade deal between the United States and China will give Beijing until 2025 to meet commitments on commodity purchases and allow full foreign ownership for American companies operating in China as a binding pledge.